What’s in Your Craft Closet? I was at Michael’s last week to pick up some river stones for our bathroom sink, what a neat idea to freshen up a room and add a spa feel, but that’s another post! Of course, I walked right by the Easter craft display. 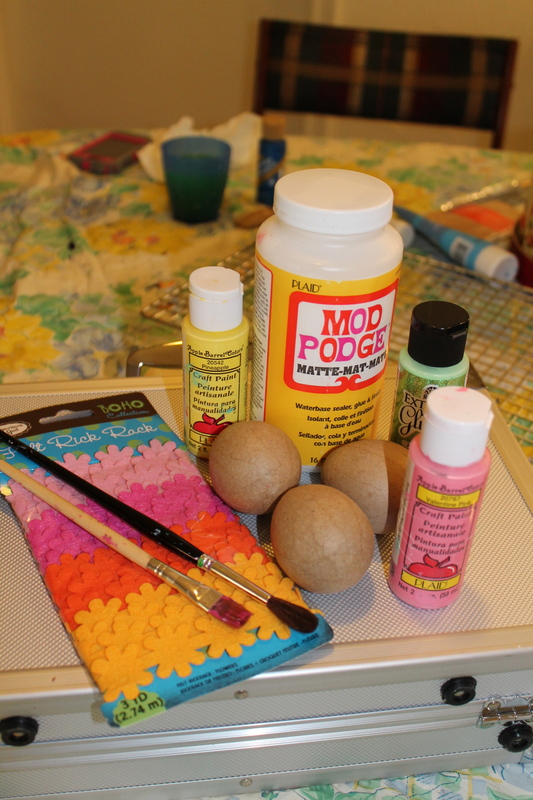 There was a bag of papier mache eggs that caught my eye, along with some felt rickrack in gorgeous spring colors. So I picked them up, not knowing what I would do with them but sure I could figure something out. Yesterday morning, Maggie and I started digging through the craft closet to see what we could find. Out came the acrylic paints, some stick on gems, brushes, paper flowers and glitter glue. From there, we let our imaginations fly! This is my favorite type of craft and is especially good for kids. There are no rules to follow and no trying to make your egg look like the one in the stunning photo you found on Pinterest! Just be creative and see what happens. We were pleased with the colorful assortment we created. 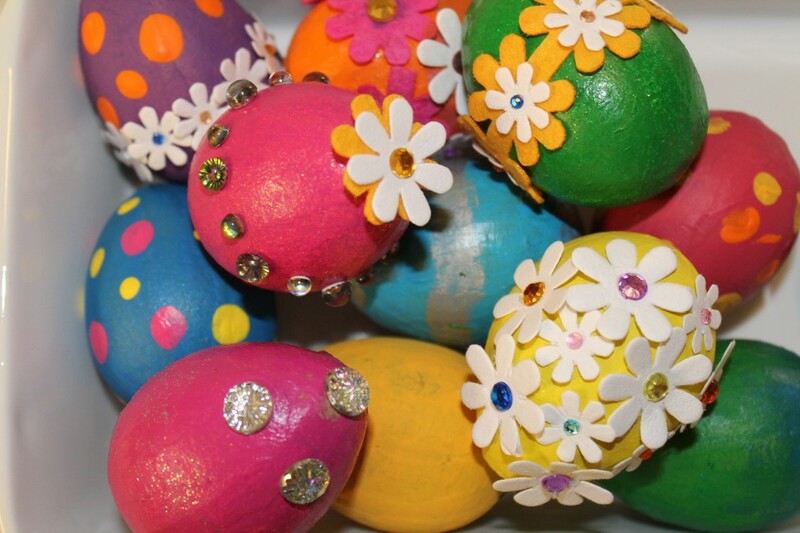 The eggs might take two layers of paint or start with a coat of white paint to get really bright colors. Allow paint to dry well between layers and before adding decoration. Stick on gems needed a little extra help sticking, we added some glue. Tacky Glue or another craft glue would be best for gluing on ribbon or rickrack. 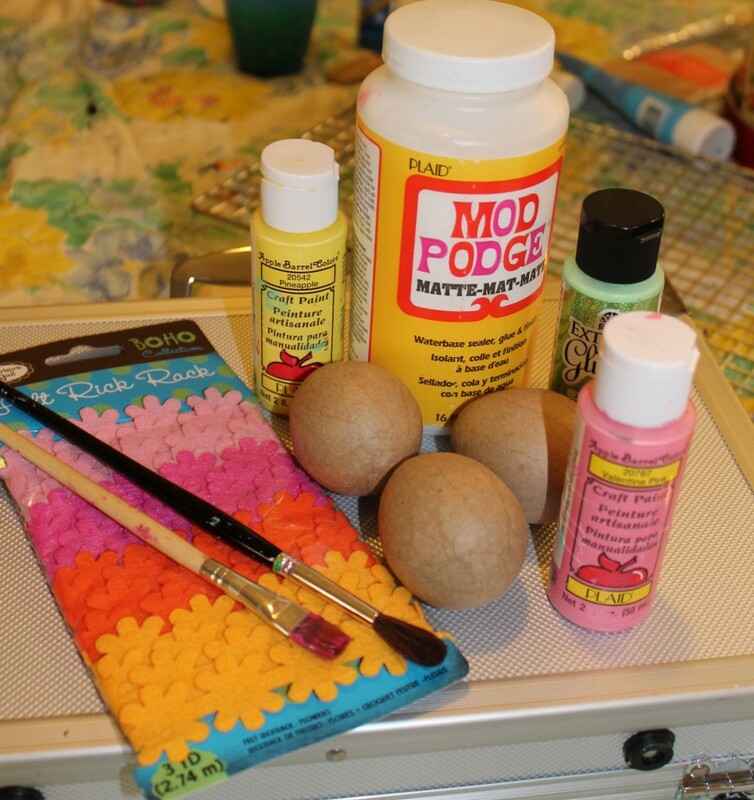 Cover the egg with Modge Podge to give it a shiny finish and to make it more durable. Have fun and remember, there is no such thing as perfect, there is only what you like! 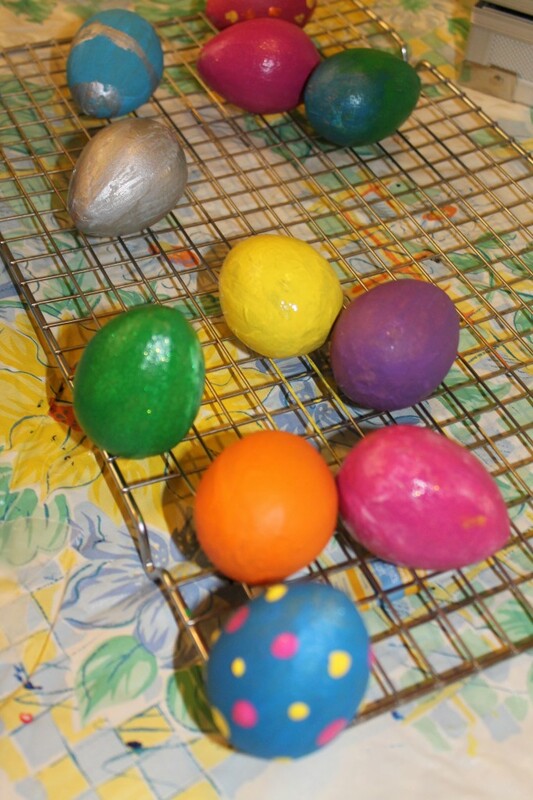 Nice article, I like how you use eggs to decorate the home and the colors you chose to paint those easter eggs. Thanks for sharing with us.